Specializing in providing emergency property restoration services; including water, fire, and storm damage to home owners, business owners, strata councils, property managers, construction firms and insurance companies throughout British Columbia’s Lower Mainland.  Our technicians are certified through the Institute of Inspection Cleaning and Restoration Certification (IICRC), learn why Incredible your best choice mold remediation contractor in the lower mainland. Drywall, Painting, Carpentry, Insulation, Wallpaper, Flooring, Carpet, Cabinetry, Etc.. I was very impressed by the skills, attention to details, responsiveness and overall quality of service I received from Incredible Restorations both from technicians on site (Jeromy and others) and project managers on the phone (Asia, although I apologize if I spelled her name wrong). They provided me with the best customer experience I had in a very long time. 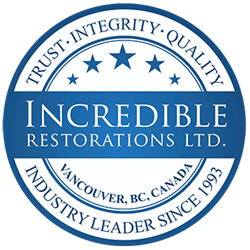 Since 1993, Incredible Restorations has been solving water problems in client’s properties, maintaining an impeccable reputation in the lower mainland for professionalism, quality, and customer service. 5-star Service. We strive to make every client a raving fan, and that starts with top-notch customer service and continues with professional workmanship. Check out our online reviews on Google and Facebook. Professional restoration of your home will maintain your property’s value and avoid future issues such as mold growth and cosmetic deficiencies. As well as protecting your family’s overall health and well being. Did you know? – You are able to hire the restoration company of your choice. We work with all insurance companies and will bill them directly. 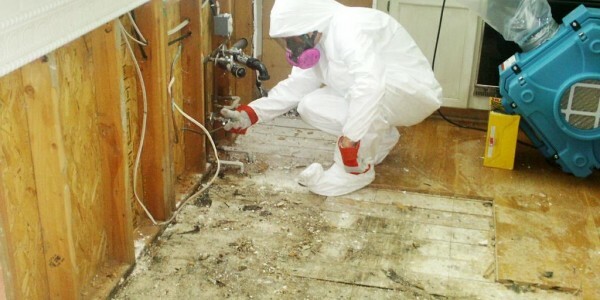 Promptly dealing with emergency issues such as floods and water damage may avoid more serious property restoration issues such as mould growth and rotting. Protect your home; your largest investment by hiring the best choice in restoration. 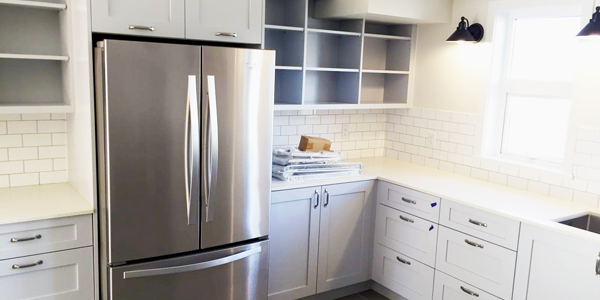 Our experienced in-house crew can quickly mitigate, and tackle the restoration project to get it done in the fastest most efficient way possible. 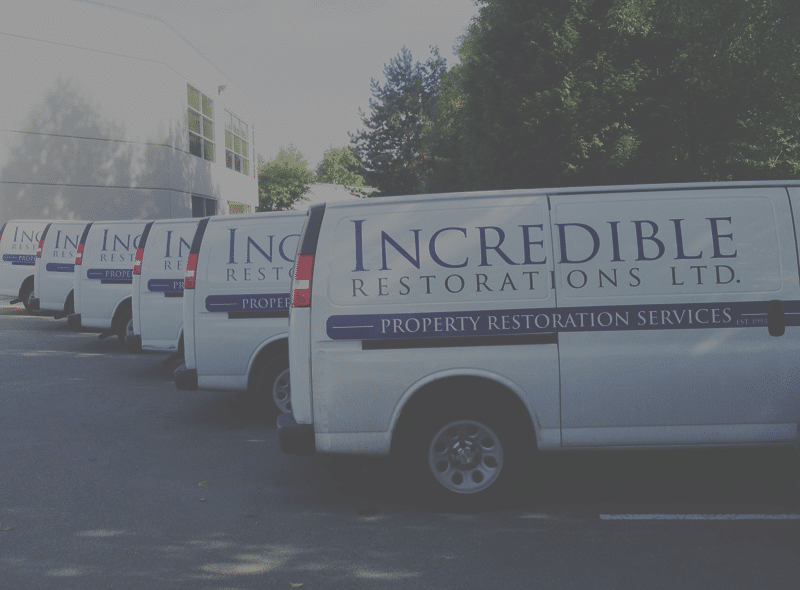 INCREDIBLE RESTORATIONS Provides the finest FLOOD RESPONSE teams available in the Vancouver area. Specializing in providing emergency water damage abatement and attendant structural restoration services to homeowners, business owners, strata councils, property managers, construction firms and insurance companies throughout British Columbia’s Lower Mainland. Incredible aims to return our sites to a pre-loss condition in the safest and most efficient way possible. We are at the forefront in the use of ”cutting edge” restorative drying equipment and technology. We combine this expertise with quality structural repairs. 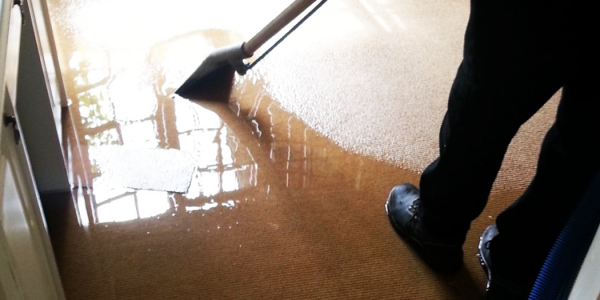 All of our employees are certified (IICRC) in various aspects of the water damage restoration field. Our company policy is continuous education and skills upgrading. The emergency services and most of the structural repairs are undertaken by ”in-house” employees. This allows us a high degree of control regarding service delivery and quality. We believe ‘customer service’ is the key to repeat business.